Pepperstone is one of the most respected and well-known retail Forex brokers in the industry. They are perhaps best known for their revolutionary approach to market making. This has seen them expand their operations across the globe and grow their volume to levels that have surpassed numerous competitors. However, are they still the best deal around? In this Pepperstone review, we will take an in-depth look into this broker by delving into their fees, instrument offering, regulation and trading technology. We will also give you some top tips in order to make the most out of your Pepperstone trading experience. Pepperstone was founded in 2010 by Owen Kerr and Joe Davenport. Their head offices are based in Melbourne, and the office is located in Level 16, Tower One 727 Collins Street. They also have subsidiary offices in other countries in the UK, Thailand and the USA. Pepperstone offers CFD (Contract For Difference) trading in over 65 countries around the world. Their clients can trade a collection of over 60 Forex pairs and numerous other asset classes. They were also one of the first brokers to institute a “No Deal Desk” model. This means that they are able to eliminate any conflicts of interest. They provide their clients liquidity through their connections to the Interbank markets (22 banks and Electronic Crossing Networks). This model has seen the broker expand exponentially and they process an average of $5.8bn in daily volume for their 75,000 traders. They have also attracted a great deal of industry acclaim and have won several awards from both local and international bodies. This increased publicity resulted in a strategic investment from the CHAMP private equity firm back in 2016. CHAMP subsequently exited their investment in September of 2018 but has left ownership interests in the hands of the founders and the current management team. This is perhaps one of the most important questions for any prospective broker and Pepperstone passes with flying colours. This comes down to their extensive regulatory coverage as well as their long list of client protections. Pepperstone has regulatory licences in Australia and the UK. The former is provided through the Australian Securities and Investments Commission (ASIC) whereas the latter is through the Financial Conduct Authority (FCA). Pepperstone’s has an AFSL licence from ASIC which is 414530. From the FCA, they have a FRN licence which is 084 312. Below is a copy of the licences that have come from the regulatory body websites. Capital Reserves: The broker should have substantial funds in reserve to deal with any liquidity events. In the case of the FCA this is 1m GBP and it is A$1m for the ASIC funds. Segregated Accounts: This stipulates that the broker much hold the funds of a client in separate bank accounts from those of the main broker operation. This will protect the client funds should the broker ever go under. Advertising Enforcement: There are also strict rules around how the broker is allowed to advertise their services. For example, these agencies have stopped brokers from offering deceptive “bonuses” to their clients. Director Background Checks: Before these brokers can get their licences, the directors and owners with significant interest have to undergo a strict background check. This is to eliminate any nefarious actors. Leverage Limits: This is more specific to the FCA which places limits on the maximum leverage that a trader can enter a trade into. They have set this to 30:1. ASIC has no such limits. The ASIC licence will cover those clients who are based in Australia, New Zealand and South Africa. Although the FCA licence is from the UK, it will also cover all those traders who are based in Europe. This is because of the Markets in Financial Directive (MiFID) which allow any European regulated broker to offer services to other EU members. For the UK licence, if for any reason Pepperstone were to go under, your client accounts are covered up to £50k. Moreover, it is great to know that there is a governmental agency to turn to in the event of any issues that you are having with a broker. Top-tier Banks: Not only does Pepperstone keep their client funds in segregated accounts but these are held in trust accounts at well known banks in the UK and Australia. These include the likes of National Australia Bank etc. Liability Insurance: Pepperstone also has liability insurance from Lloyds of London. This means that they will always be covered for liquidity in unforeseen liability. It is also worth mentioning that their “no dealing desk” policy makes sure that the client orders are not being front-run by anybody. There is nobody in the space that is privy to your orders (not even Pepperstone). Some of these restrictions come down to the lack of a regulatory licence in that region (USA, Canada, Japan for example) and some come down to lack of proper banking infrastructure. There may also be restrictions to US citizens who are living in another country. However, in the countries that they do operate, they have translated their website into a number of different languages. These include the likes of Brazilian Portuguese, Russian, Chinese, Vietnamese, Thai and Spanish. These are just the languages that they have translated their website into. You can also change the trading platforms into your language or choice. For example, the MT4 platform offers support for French, German, Arabic, Italian and Polish among many others. As mentioned, Pepperstone offers CFD trading on over 70 different Forex pairs (both majors and minors). They also allow you to trade Commodities, Futures and Indices. They also offer cryptocurrency trading on Bitcoin (BTC), Litecoin, Bitcoin Cash, Dash and Ethereum (ETH). The maximum leverage that you can achieve on your account is 500:1 or 30:1 if you are in the UK. This is because of the leverage limits that we talked about above. This maximum leverage is applicable to the Forex, Energy and Precious metal assets. However, the maximum leverage that you can achieve on the Index CFDs is 200:1 on some of the larger indices and 100:1 on some of the smaller ones. Soft commodity leverage is 50:1 and cryptocurrencies have a max leverage of 5:1. As you can see, the max leverage levels will depend on the asset in question. Some pairs are inherently more volatile than the others and will hence command a lower limit. For example, the cryptocurrency limits are really quite low compared to all the other assets. While we are on the cryptocurrency assets, it is worth pointing out that you are not buying the physical cryptocurrency as you are on typical crypto exchanges. You are still trading a CFD which is merely a derivative instrument. When trading with CFDs, one of the most important considerations is the fee that is charged by the broker. This is because these spreads are charged on leveraged positions which are often many magnitudes bigger than the initial margin. Low fees and spreads are Pepperstone’s bread and butter. Given their unique approach to matching client orders, they are able to achieve some of the lowest spreads in the industry. In most cases, these fees are near zero especially for the razor account. As you can see, the Razor account will give you a lower spread in general for most of assets. However, you will pay a separate fee called the “Lot commission”. This is a standard commission that will be charged based on the number of lots that you trade. You will also be relieved to know that there are no deposit / withdrawal fees that are charged by Pepperstone. However, if you are using a Credit Card or you are sending money internationally, there is the possibility that you could incur third party fees. There is also an overnight fee that will be charged on your account. This is essentially a financing charge that makes up for the interest rate differential between the two forex pairs. This is dynamic and could either be a charge or a credit dependent on which way you are trading or the interest rates in question. The overnight fee will always be presented to you on the platform just before you place the trade. As a rough indication of what these are, they were 4.2% on EURUSD and 3.0% on EURGBP. Surprisingly, unlike brokers such as Plus500, there is no inactivity fee for no trading in your account. However, if you stop trading your account for three months then they will archive it. You will have to ask them to reactivate it if you want to start trading again. As mentioned, the fees that you will be charged is dependent on the account type that you open at Pepperstone. There are three main account types that you can make use of. These are the Razor Account, the Standard account and the Islamic or “Swap Free” account. The latter is an account that is designed such that no interest is charged on the positions. Apart from the fees on the Standard / Razor account and the Swap Free structure of the Islamic account, there are not that many differences between them. All of these accounts allow you to scalp, hedge and develop your own EAs. Moreover, all of these accounts have a negative balance protection. This means that you will never lose more than you have deposited at the broker. Speaking of these deposits, the minimum deposit at Pepperstone is $200. This is about in line with a number of other CFD brokers although it is higher than European alternatives such as IQ Option which have a minimum level of $10. Lastly, for those high-volume traders among you, there is the Active Trader accounts. These are also great solutions for institutional traders and HNW individuals who trade more than 200 lots a month. If you have an active trader account you can earn a rebate on the lots. There are two tiers of active traders and tier 1 can earn about A$1 per lot. If you were interested in the offers that they had on tier 2 then you can email in. There are also a host of other benefits that come with the active trader account including priority customer support, Qantas Frequent Flyer Miles and VPS hosting. If you would prefer to give the broker a try before you send any funds to them then you are free to open a no obligation demo account. Demo accounts are great way for you to get a sense of the platform, broker and spreads in a non-threatening way. They are also great for those traders who are new to the MT4 trading platform to get a sense of how it works. If you would like to trade on a demo account then you will still need to register on Pepperstone. You will then have to Download the MT4 trading software which will enable you to link up with your account and start trading. Pepperstone will give you $50k of demo funds to start trading with. We were surprised to discover that Pepperstone places a 30-day limit on these accounts. Hence, you will need to decide in those thirty days whether you would like to move onto a live account. As seasoned FX traders, one can understand the severe importance of customer support. Thankfully, customer support is one of Pepperstone’s fortes . They have even won a number of awards specifically for their customer support. Firstly, it is worth noting that they have live support which is available 24/7. This is also instantaneous and we gave it a whirl on their chat platform online. We were able to get a response immediately and they were generally quite responsive to our questions. For those of you who prefer to deal with someone on the phone, then there are also 24 hour phone lines. If you are calling locally in Australia then the number is 1300 033 375 whereas if you are getting in touch with them internationally it is +61 3 9020 0155. This is also multilingual support which is helpful for those traders who’s first language is not English. If you would like to deal directly with the local office of the broker then their numbers and office locations are on their contact page. Lastly, if you would prefer to deal with them via email then they can be reached on support@pepperstone.com. If your query is more general in nature then you can make use of their pretty extensive FAQs. Let’s jump into arguably one of the most important aspects of their offer and that is their trading technology. There are three trading platforms that you can use at Pepperstone and these are the MT4, CTrader and MT5. MT4 is perhaps one of the most well-known third-party trading platforms that is currently on the market. It is in use at countless brokers around the world and is well suited to advanced trading strategies. The reason that this is loved by traders so much is because of the array of charting and order functionality. The MetaQuotes team have honed the product over a number of years and have constantly been adding features. Something else that you can do on the MT4 platform is develop your own trading algorithms. These are called “Expert Advisors” or EAs. They are coded in the proprietary programming language for the platform which is called MQL4. Although you can use the MT4 software through the web-based interface, we would encourage you to download the PC client. This is because there could be latency in orders as they are placed through the browser. This is the new generation trading software that has been developed by the MetaQuotes company. It’s actually almost completely different from the MT4 platform and as such, may take some time for traders to get used to it. When using the MT5 platform on Pepperstone it will offer you access to other instruments that are not available on the MT4 platform. It also has a more advanced programming language in MQL5 which is more object orientated. You can also see the market depth of the order book on the MT5 platform. Market depth charts are a great way to see how much liquidity there is for a particular asset at different prices. For those even driven traders, the MT5 also has an Economic Calendar right on the platform. Currently, the MT5 platform is only available on Windows and there is no mobile version so you will have to revert back to the MT4 if you want to trade on the go. This is perhaps the most advanced platform at Pepperstone and allows traders access to the top tier liquidity at the broker. Despite the technology, it does offer a pretty user-friendly interface. It also has a host of different presets and detachable charts which make trading with multiple screens that much easier. These charts have an enhanced ability where you also have more control over your order management. Something else that you may find useful is the cTrader algo. This will allow you to code your own unique bots and Algorithms. It was developed in C# and will give users a wide array of tools to help them refine their scripts. This includes the likes of their intuitive back-testing functionality. Currently, there is only a web-based and Windows version of cTrader. There is also a mobile app which we cover below. If you are a trader on the go and need a way to monitor your positions then you can use one of the two mobile applications that Pepperstone provides. Firstly, they have the MT4 mobile app that is available for both iOS and Android. This is perhaps one of the most sophisticated mobile trading apps and it has been downloaded thousands of times from the store. Users who have downloaded this app have a generally positive experience and the reviews in both of the stores reflect that. With the MT4 app you have access to a wide array of charts and order functionality. Given that the app connects directly with your MT4 account, you can also monitor your live EAs and other indicators. However, it is important to note that the technical analysis may not always be as effective as mobile screens are hard to chart on. As mentioned, cTrader also has a mobile app for you to monitor your account. This is not an iOS or android app but it is a .exe file that you can download and load on your phone. So, should you use the mobile apps at Pepperstone? Mobile trading is a great way for you to monitor your account but it will never be as effective as running a desktop program. Moreover, there is likely to be significant order latency given the fact that you are using a mobile network. Time to jump into the belly of the beast! One of the biggest advantages of Pepperstone is their lightning fast order execution with minimal fees. This is because they use the same High Frequency Trading technology that is in use by the Investment Banks and Hedge Funds. Pepperstone makes use of Equinix trading servers which were developed for HF trading. Equinix has datacentres that are only a few miles away from the New York Stock Exchange. They are also part of the Equinix Financial Exchange network which is a collection of bank trading servers, sell / buy side trading servers and execution venues. It means that Pepperstone is able to get some of the lowest latency orders on the market. The closer that a firm can get to the exchange servers the quicker orders are able to be executed. Given that Pepperstone still has to connect their systems to the Equinix network, they make use of advanced optical fiber technology. These connection speeds are many multiples higher than those of traditional internet connections. Pepperstone also makes use of the EDGE environment. This technology makes it possible to execute trades on MT4 12 times faster and with 1/10th of the latency. This also includes additional fiber optic cabling with Interbank servers on Wall Street which allows for instant MT4 ordering. Lastly, there is the Pepperstone Price Improvement (PPI) which is an order routing protocol. PPI is able to intelligently route the orders to deliver the best price. They are further able to reduce the spreads by using dark pool liquidity. Overall, added improvement in pricing and execution aided by simple one-click trading in over 70 different assets. There are a number of different funding options at Pepperstone. You can choose to have your account denominated in your local currency and they offer it in USD, AUD, JPY, NZD, CHF, CAD, HKD and SGD. There are a plethora of funding options at the broker. These include credit / debit cards, e-money wallets, PayPal, local bank transfers, international wires and broker to broker funding. Below is the complete list of the funding options. If you would like more information on how to use each of these then you can head on over to their funding methods page where they take you through the steps of using these. If you wanted to process a withdrawal, make sure that you submit the request before 21:00 GMT. If you do so then it will be processed that day. If you miss this deadline then it will only be processed the day after that. If you funded your account with a credit card then you can only get up to the amount that you funded sent back to your account. This will only occur up to 60 days since the initial funding. The balance will have to be sent to a bank account in your name. Card withdrawals are instantaneous. Similarly, if you have funded through a bank wire then the funds can only be sent to an account in the name of the primary account holder. In other words, you cannot use third party bank accounts for the withdrawals. These may take between 3-5 business days to hit your account. If you are requesting an international telegraphic transfer (TT) then the broker may have to incur a AUD20 fee. Unfortunately, this will have to be passed onto the client. It’s always a nice touch when the broker includes some educational material to help improve the client’s trading returns. At Pepperstone, you have some of the standard material which includes an FAQ section and a glossary of some important terms. They also have some other interesting material and trading guides which are available on their website right now. This section goes over some of the simplest concepts in Forex trading. They take you through the basis of technical vs. fundamental analysis, trend lines and order types. They also dig into some more specific markets such as trading Gold. If you take a closer look at each of these guides, they do not seem to be really ground breaking nor extensive. They are, however, written and presented in way that is relatively easy for a new trader to understand. Unfortunately, there were no video guides in these resources. This is actually quite an interesting offering by Pepperstone. 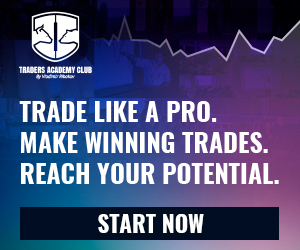 These webinars are run by a group of expert traders that you can join in on. When we took a look at the webinar schedule, we had the following lineup. If there are webinars that were completed in the past then you can take a look through their archives at the bottom of the page. There are a plethora of older webinars and they are broken down into trading basics, trading strategies and trade management. We decided to listen in on one of these webinars and they appear to be quite comprehensive and run for over 30 minutes in total. They are well instructed and the person that is leading the webinar seems to know what they are doing. If you have already been through the basic guides that are given in introductory section then you can move onto the slightly more involved trading guides. These are quite extensive and cover everything from developing bespoke strategies to trading specific asset classes. We took a look into some of these guides and they are well written and go over the topic quite well. And, what is really great about these guides is that they are free. You can download them right now from the trading guide section. You can also submit your email and they will send you the latest guides as they fly hot off the press. If you are going to be developing your own trading bots and EAs then you are most likely going to want to invest in a VPS. This way, you are able to keep them running 24/7 with close to zero downtime. Moreover, when you set up your EAs in a datacentre you are taking advantage reduced latency. The connection speeds out of datacentres are much faster than those from your home internet. You could even take a page out of Pepperstone’s book and set up your EAs in a datacentre near the exchanges. FXVM: These VPS providers give you ultra low latency of only 1 millisecond. They also have multilingual staff that are on hand 24 hours a day to deal with your queries. When you open an account with FXVM it will come with the Pepperstone software installed. If you open a VPS account through Pepperstone then you will get a 20% discount. New York City Servers: Choosing to place your bots closest to the executing servers could be a good idea of execution time is important to you. NYC servers are close to the exchange datacentres so your EAs will have a distinct advantage. They offer 24/7/365 support through email, ticket support and live chat. If you use the “Pepperstone20” promo code then you will get 20% off of the VPS plan. As mentioned, Pepperstone has been the recipient of a number of rewards in the Forex industry over the years. These awards come from reputable agencies and firms including a number of governmental awards. 2013: Deloitte Technology Fast 50 award. Pepperstone was also named as one of BRW’s fast starters (list of 100 fastest growing companies). 2014: Ernst & Young Australia’s Entrepreneur of the year award and the Winner of the Governor of Victoria Export Award. 2015: Winner of Investment Trends 2015 Australia FX report as well as the award for the number 1 in customer service. 2017: Pepperstone took home quite a bit of awards in this year. They won the Australia FX report in 6 different categories. They also won the Governor of Victoria Export Award in two categories – exporter of the year and digital technologies award. Lastly, they won the Australian growth company awards by being the growth company of the year as well as the same award for financial services. 2018: Pepperstone has also been recognized in other countries where they operate. In 2018 they were awarded the UK Forex awards in 3 categories – Best ECN Broker, Best Forex support and best Forex trading conditions. Again, they also won the Best Australian broker award and the Best trading platform by an Australian Forex comparison site. So what do all these awards mean for you? It just further reinforces the reputability of the broker. Unlike numerous other Forex brokers that have “Mickey Mouse” awards, these are verifiable and from well known sources. Many of these also take into account feedback from current clients of Pepperstone. While Pepperstone is no doubt one of the most impressive brokers that we have reviewed, there are a few things that we think warrant improvement. Firstly, their demo account has a limit of 30 days. While this may be sufficient for most traders to get an idea of the platform, it still limits those others who would like to continue practicing for more than a month. Of course, you can always create more than one account with more than one email if you want to trade for more than this. Secondly, we were surprised to see that there were no single stock CFDs on offer. They only allowed trading of stock indices which is quite limiting. There are a number of other European CFD brokers that do offer these products. We were also quite surprised by the limited range of cryptocurrency CFDs as well as the low leverage limits that you have with these instruments. Some of the crypto margin exchanges offer leverage limits and asset coverage much more extensive than this. Lastly, Pepperstone is leaving out quite a few clients by not being able to take users from the likes of the USA or Canada. Traders in these regions would also like to benefit from their razor thin fees and instantaneous execution. Pepperstone is one of the most respected and fastest growing Forex brokers in the world. They were innovators in the space and have built a brokerage that has changed the way that we view retail FX trading. Through their use of High Frequency Trading technology and co-location agreements, Pepperstone has given traders a unique service. Traders are now able to execute orders with razor thin margins in a mere fraction of a second. Moreover, they have a numerous trading platforms to trade a range of different assets on. Giving the trader up to 500:1 leverage means that they are pretty well positioned to compete against their lower leveraged competitors. While there were a few things that we thought warranted improvement, they are relatively minor when compared to the broader offer. The broker is constantly evolving and innovating and it is likely they could make further changes if these issues become a sticking point for traders. So, is Pepperstone for you? In the end we cannot tell you which broker to use but based on our review, Pepperstone should be high on your list of likely candidates. The post Pepperstone Review: Complete Broker Overview appeared first on Coin Bureau.